This research is aimed to study the possibility of recycled the PET wastes by forming the PET wastes as plastic semi-bars and used it as tension bars in simply supported reinforced concrete beams . Twelve beams specimens with dimension of (150*200*1400) mm are casted and tested to monitoring the effecting of these wastes as tension bars on the strengths and serviceability of reinforced concrete beams. The mechanical properties (compressive, splitting tensile and flexural strength) are evaluated in which specimens tested in age of 28 days. The tests results showed that all presented plastic semi-bars are failed except one case in which the deformed steel bar are used with additional layer of PET bottle cut into two parts which showed an increment in ultimate failure load and deflection of 3.03 % and 213.83 % respectively, larger than the reference beam specimens. Negatively effect of PET semi-bar on ultimate load of beams is due to bonding failure between PET bars and surrounding concrete, which made the PET bars as voids or weak region within beam cross section. 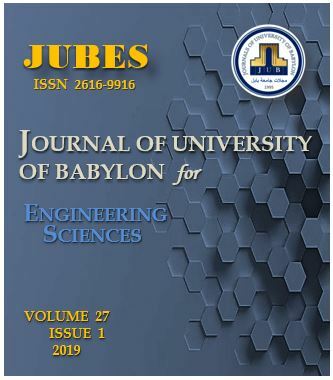 A. Dawood and H. Adnan, “Experimental Investigation of Using PET Wastes as Tension Bars in Reinforced Concrete Beams”, JUBES, vol. 27, no. 1, pp. 247 - 261, Feb. 2019.